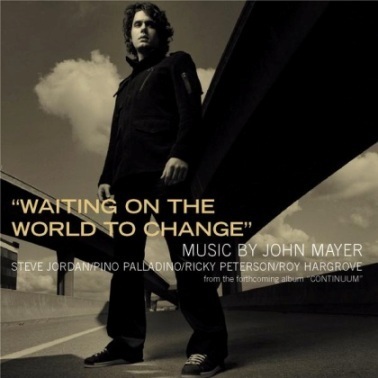 "Waiting on the World to Change" is the first single released from John Mayer's 2006 studio album, Continuum. The song enjoyed commercial success as a single and won the Grammy for Best Male Pop Vocal Performance at the 49th Grammy Awards. Because of its theme of discontent and hope, it quickly came into demand in a variety of television programs, charity benefits, and other events.